Everybody's talking about love. Join the conversation and talk about an Old Fashioned love – God's love. 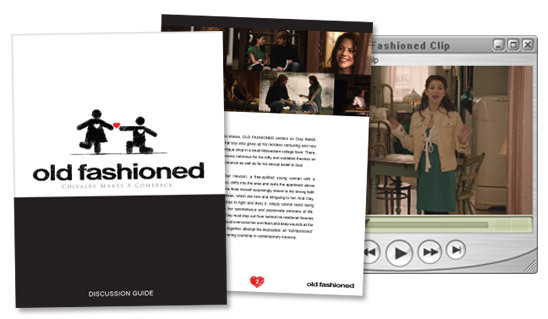 Download a free Church Resources Kit that centers around the themes in the Old Fashioned movie. The kit includes a sermon, video clips, and discussion questions to help you share God's design for love and marriage. Get these helpful resources today. Enter your email below to download the FREE Old Fashioned bundle and to subscribe to our e-newsletters.